"Keeper of the Flock Address Labels By Lorrie Weber" product is already in your cart. 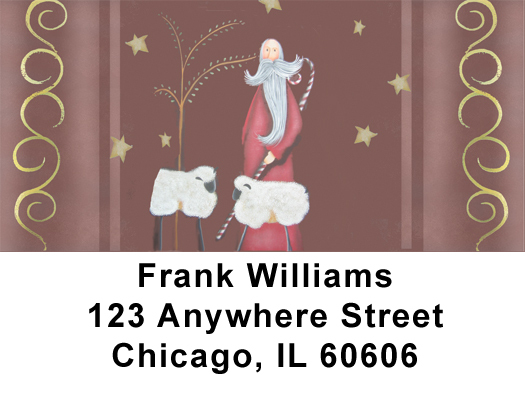 Keeper of the Flock Address Labels By Lorrie Weber feature a painting of a Santa as a shepherd with a couple sheep and his candy cane staff. It is painted in Christmas holiday colors. Enjoy a holiday season inspiration of hope all year by using Keeper of the Flock Address labels by Lorrie Weber. They are self adhesive. Matching checks are also available.